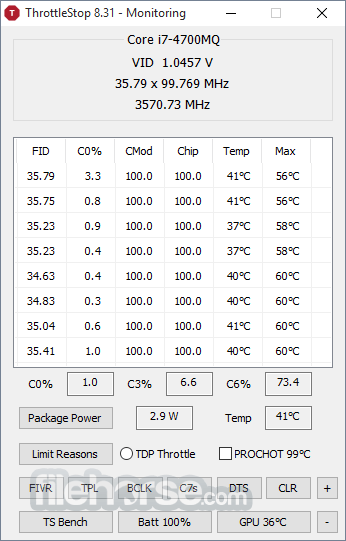 ThrottleStop is a small software for Windows PC designed to monitor for and correct the three main types of CPU throttling that are being used on many laptop computers. ThrottleStop is an Intel Core 2 and Core I performance monitoring and modification program for advanced users! Supported operating systems are Windows XP, Vista, 7, 8 and 8.1, Windows 10 (32-bit and 64-bit versions supported). Download ThrottleStop for Windows Now! 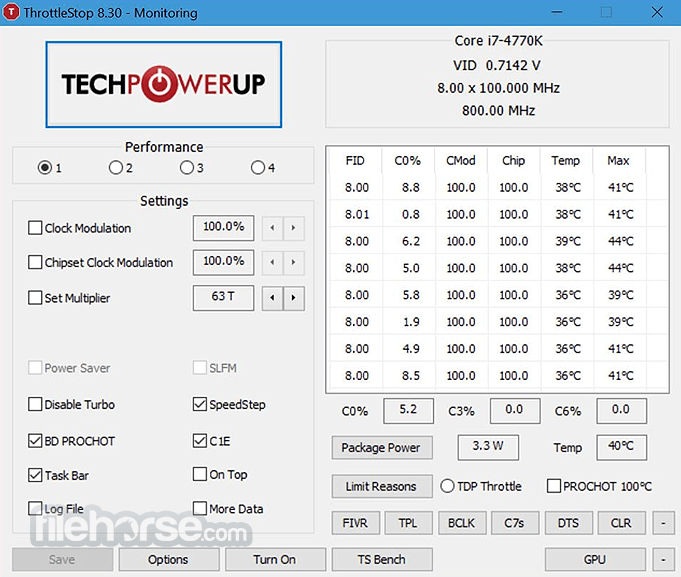 The left side of ThrottleStop contains a variety of options which can be used to bypass CPU throttling and on the right side is a Monitoring panel that shows you the current state of each thread on your CPU. When using Throttle Stop, it is strongly recommended to monitor power consumption at the wall with a Kill-a-Watt meter or similar device and make sure that you don't exceed the power capabilities of your power adapter. Use of ThrottleStop for PC to bypass these throttling schemes is at your own risk and can result in permanent damage to your power adapter or computer or both which may not be covered by your warranty.